ANOTHER $24,000 PRICE REDUCTION OWNER SAYS BRING OFFERS! VESSEL IS THE SOLE ASSET OF A CAYMAN ISLAND CORP READY FOR TRANSFER! 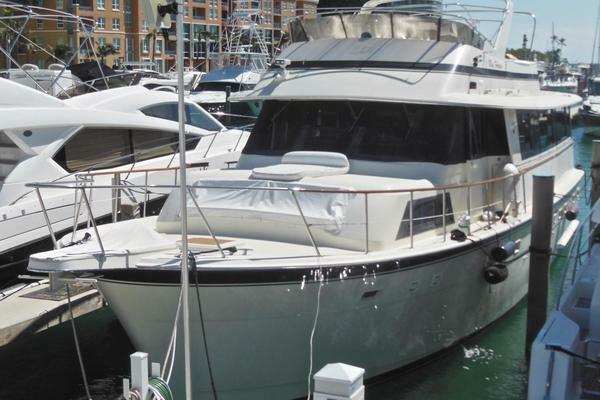 The 65' Tollycraft has a seaworthy profile and well thought out interior layout, this heavily built offshore cruiser is US built to ABS standards for reliability and durability. "MORENA" has had continuous care, maintenance and updating by a very knowledgeable owner and pride of ownership is evident. This very popular layout, predecessor to many modern designs of today, features a large salon and aft deck with galley forward on the same level, expansive pilothouse, an enormous flybrige, full beam master stateroom, VIP forward and guest stateroom all with in-suite heads. "MORENA" has the desirable 3408 Caterpillar engines that will cruise her easily at 20 Knots. 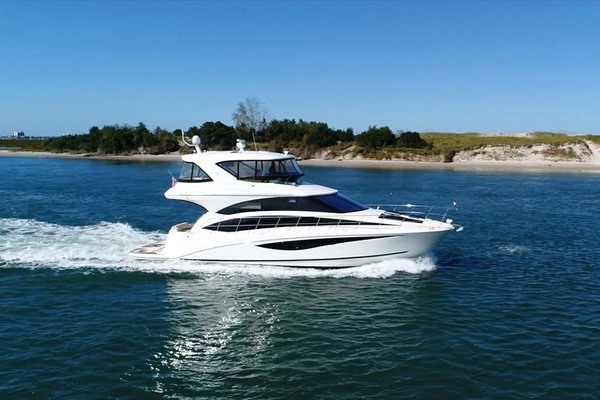 If you are serious about a quality Pilothouse Motoryacht for either cruise or live aboard you need to schedule an appointment to view "MORENA" today! "Morena" is a three stateroom 3 head layout. Entering from the large cockpit into the salon you find rich teak cabinetry and custom teak sofa to starboard and custom teak seating to port with storage below. The flooring is custom wood, forward is the full size galley with double door refrigerator and a large hard surface counter top with bar stools. To port is a wet bar with glass storage. Large window provide ample lighting and panoramic views. Up a few steps is the spacious pilothouse with helm station forward and a large settee to starboard. Wing doors allow access from the pilothouse to the walk-around covered side decks. There is a staircase to port that leads to the enormous flybrige with custom fiberglass hardtop, ample seating and built in appliances and storage. The boat deck is aft with inflatable dingy and davit. Back in the pilothouse the curved staircase forward leads to the full beam master aft a VIP with Island queen forward and a guest room with double bunks is to starboard, all have in-suite heads. The fore-deck has a large sun pad area, windlass and access to the large walk around side decks allowing safe comfortable access around the vessel. Machinery and engine access is located in the cockpit with hydraulic hatch lift. Transom door in cockpit allows access to the swim platform.